Winters means having a collection of “Sweaters”! 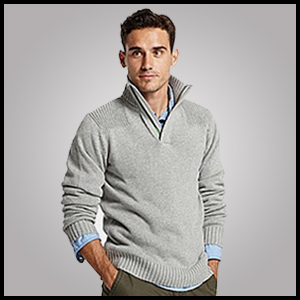 The V-neck sweater: This kind of sweater is considered as the work-horse of menswear sweaters. 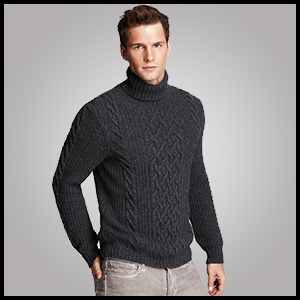 The specialty about v-neck sweater for winter season is its capacity as a layering piece. It can easily be worn underneath a sport coat or a blazer, not only providing you with the warmth but also adding dimension to your outfit. You can find v-neck sweaters in many indispensable colors. 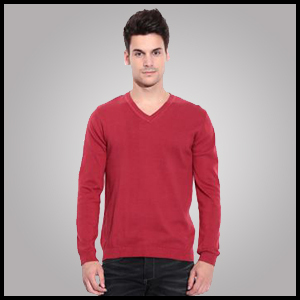 V-neck sweaters are made from various materials like wool, cashmere, cotton, poly blends. The shawl collar sweater: another prominent sweater in menswear is the shawl collar cardigan. It is a type of sweater that has an open front(buttoned open). This cardigan is considered as a rendition on a classic piece which adds an element of classy to any ensemble. It can easily be paired with chinos or jeans for a casual look. The cable knit crew sweater: also known as the fisherman's sweater, the cable knit sweater is originated from the Aran Islands of the west coast of Ireland. The prominent pattern on the chest distinguish this cardigan from rest. However, these sweaters are perfect to give you a masculine look. These sweaters are made from thick knitted wool, keeping you warm during the winter months. You can style them with a pea coat, dark denim and a stylish pair of boots. Eventually, if you think that you will be too short for this style then you can buy height increasing shoes in India here and add 3 to 5 inches to your height secretly. 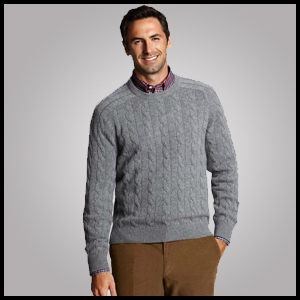 The pullover sweater: this type of cardigan usually comes with a mock neck collar and a three button placket. It is very convenient in winters because the collar on the pullover adds an extra warmth around the neck area. If you are not a fan of turtlenecks then pullovers is a great option. The turtleneck cardigan: many people have one common opinion that turtle necks are from 70's. This is simply not true, you just need to pull up little effort how to style them. Try to keep turtle necks as simple, avoid glittery and flashy colors and patterns. Style them with a blazer to give a classy look. 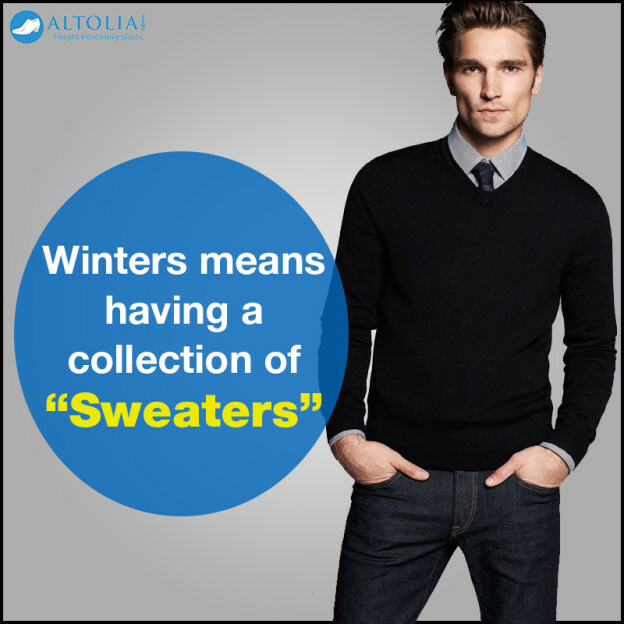 Final word: Now you know the different types of sweaters, so gentlemen stay fit and look sharp!